Assimilates and manifests higher level energy, stabilizes energy levels and intake. Receives expanded amounts of enrgy and light without becoming scattered or distressed. Brings about optimal use of psychic energy. Aids prosperity and ability to manifest earthplane needs and abundance. Uplifts and grounds at once. Pyrite is a member of the cubic crystal system. It's mineral class is sulphide and its color is a gold metallic. 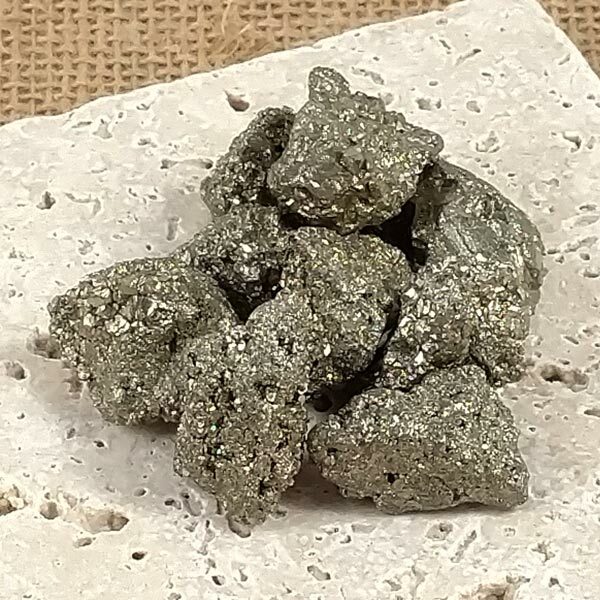 Small clusters of pyrite with their shaped crystals are generally formed hydrothermaly as chunky and spherically shapes. The shaped cube types are formed in sediments of clay and coal. Pyrite "sunbursts" are formed in the tertiary manner during the metamorphosis of the sediments. Many people have come to know it as fools' gold because its bright and shiny appearance has been mistaken by amateur prospectors for gold, but many times it actually is found associated with real gold. It can be found in most of North America, Chili and Peru and can be found in several different types of minerals. The tiny flecks of gold in Lapis Lazuli is probably the most familiar of those types. Pyrite should only be applied for a very short period of time directly on the skin. In longer contacts, your sweat will make it secrete the black iron sulphide which can irritate your skin and stain clothing. I have found it better to use as a centerpiece in meditation and regularly keep a piece at the top of my keyboard when I'm writing. You will have to routinely reprogram it though from effects of the electronic vibrations of the computer and monitor. Pyrite encourages self-realization by confronting us with our own character showing up its light and dark sides. Pyrite assists in uncovering secrets and memories we have held back providing us an opportunity for openess and honesty. Pyrite can clarify causes of certain life circumstances and illnesses and can enable us to initiate the changes we need. 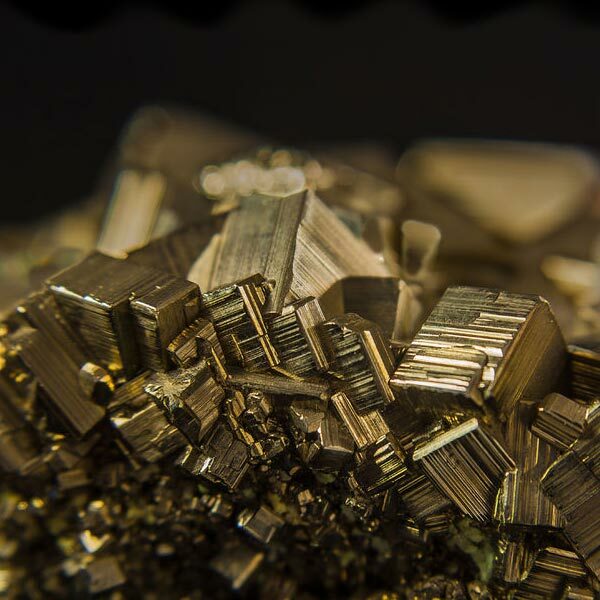 Pyrite can clarify the confusion of unclear symptoms by showing us the causing symptoms of an illness. Special Pyrite "Suns" have been known to have a pain relieving effect. Pyrite is ruled by Mars and the Element of Fire. Pyrite is strongly suggested for people who tackle large conceptual ideas in business, the arts or education. In ancient Mexico, Pyrite was made into mirrors by polishing one flat side and carving the other into a convex shape. Many times the convex side was embelished with many symbols. The name Pyrite means fire stone. It makes sparks when struck and has been used since the Stone Age to start fires. Since it was believed that fire lived in it, many times it was made into magickal amulets and was also used in healing as a warming stone.